Today I am excited to be part of the blog tour for The Chance of a Lifetime by Kendra Smith. I have an interview to share with you today. The book was released on the 15th January in the UK and you can click here to buy a copy. Don't forget to check out the other stops on the tour for more exclusive content and reviews. A new life down under? It's not as perfect as you'd think. Katie and Tom's marriage is in trouble. As is their bank account. So, when Tom tells Katie that they need to talk, she knows it must be about one of two things, and neither are good. 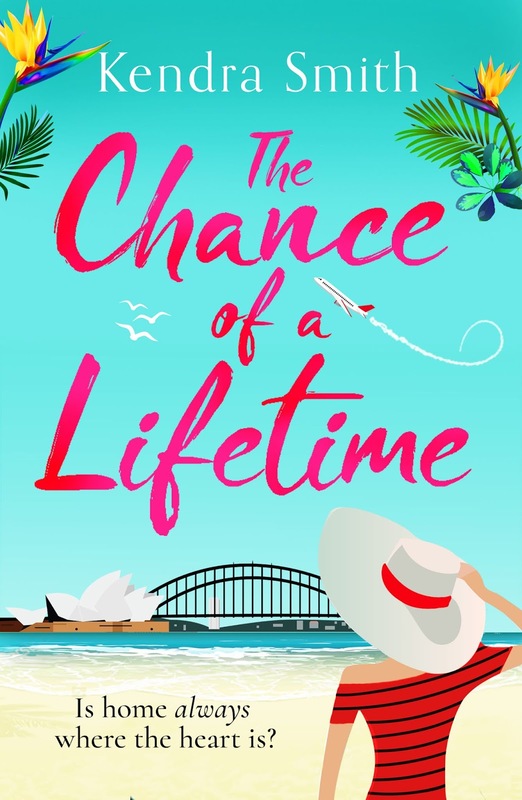 But when he blind-sides her saying that his boss is sending him to Australia – permanently – Katie realises it might just be what they need to save their marriage. Trouble is, she doesn't like the heat, can't swim and hates spiders. Not to mention the bouts of homesickness – and Tom's endless business trips. Katie is finding the hope of saving their marriage slowly slipping through her fingers. But Katie is determined to take the bull by the horns – and her Speedos by the strap – and tackles her new life. When all is said and done which side of the globe will she decide to call home? 'An entertaining, fast-moving, page-turner for anyone dreaming of a new life' Jane Corry, best-selling author of Her Dead Ex. Previously published as Jacaranda Wife. I have been ‘into’ writing from the day I took hold of the failing school magazine (I was age 14), ‘interviewed’ staff and pupils, ‘commissioned’ my best friend who did art to sketch some line drawings, used A4 paper, a stapler, the goodwill of the office ladies and their photocopier, and re-distributed it around my school. Ever since, I have worked in journalism – mainly in women’s magazines. 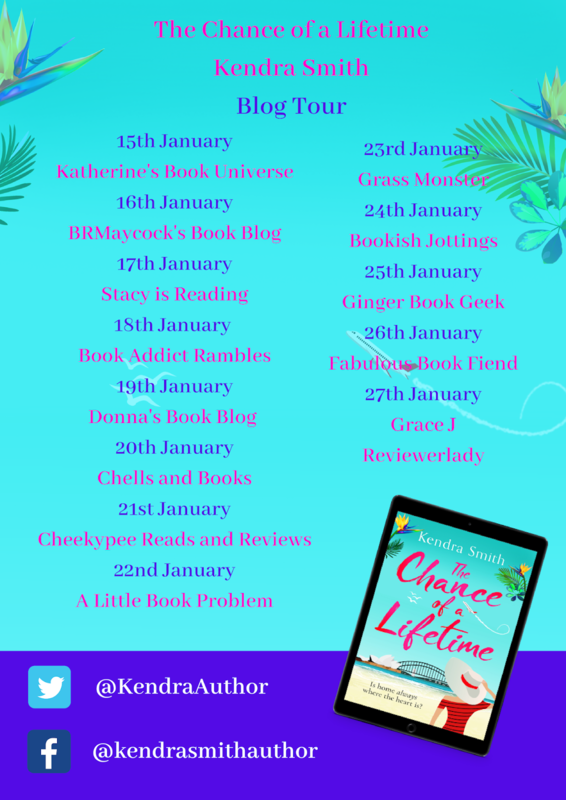 My move to writing fiction came about when I wanted to use my creative skills and found that as a stay-at-home mum, separating my whites from my coloureds didn’t cut it any more, so I started writing novels. I write or carry out some kind of ‘writing’ work for about 3-4 days a week, (more on deadline…). I have done this for many years and I balance this with my commitments as mum to three busy boys, running them around to where they need to be – combined with that wonderful American euphemism ‘home-duties’ (picking up odd socks, anyone?). All characters are based on ‘real’ people to some degree… but my characters do develop as I write. And I look to people around me, those from other novels, and my own experiences to create the human potpourri of any one fictional character. What was the inspiration behind The Chance of a Lifetime? I have lived and worked in Australia for many years so knew first-hand about the country and could write Katie’s feelings of homesickness and her ‘journey’ with authenticity. My storyline and other characters came about by wondering ‘what if’ as I put my main character into various situations. I do a bit of both: I like to have an outline synopsis or a roadmap as I call it, and start there. Then I start writing. However, I do force myself to keep re-writing my roadmap every now and again as it makes you consider the whole story and where you are going with it. Many aspects to the novel will change on the way, this is how a novel ‘grows’ – and each draft will, I hope, make for a richer finished product. What kind of research did you do before/during writing The Chance of a Lifetime? 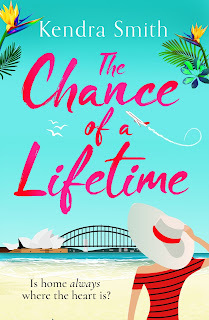 We were living in Australia when I wrote the first draft of The Chance of a Lifetime; so the landscape, weather, flora etc that I wrote about was very real and present. I also spoke to individuals who had gone through some of the emotional arcs of the book, so I wrote their story by listening to what they told me. For things like the swimming or diving scenes, I am a qualified diver, so I used my own experience as well as contacting a dive master from a local diving school for his input; and for the medical scenes, I used a bit of my experience, but always researched each situation, and spoke to professionals in their industry about how it would pan out in reality. It’s heat-warming to get good feedback from reviewers/readers. And I always enjoy hearing that my themes or characters have chimed with someone; I’m always touched when someone either writes to me or says that my book has moved them. But, at the end of the day, we don’t all enjoy the same food, holidays and so on, and that applies to what people like to read, too. Yes, very. But my family know I’m on deadline when there are no dinners cooked and the 18-year-old might just be wearing the 12-year-old’s school shirt in moments of panic. Excited and nervous at the same time. My two favourite authors are Liane Moriarty and Allison Pearson. Many others have inspired me to write better, but if I were to name a few they’d be Julie Cohen, Hilary Boyd, Jane Corry, Lisa Jewell and Jojo Moyes. Book three. It’s about a woman who finds herself having a bit of a mid-life crisis. She is, I think, drawn from a bit of Katie (from The Chance of a Lifetime) as well as one of my characters from Book two. And I’m having a lot of fun with her! Kendra Smith has been a journalist, wife, mother, aerobics teacher, qualified diver and very bad cake baker. She started her career in Sydney selling advertising space but quickly made the leap to editorial - and went on to work on several women’s magazines in both Sydney and London. 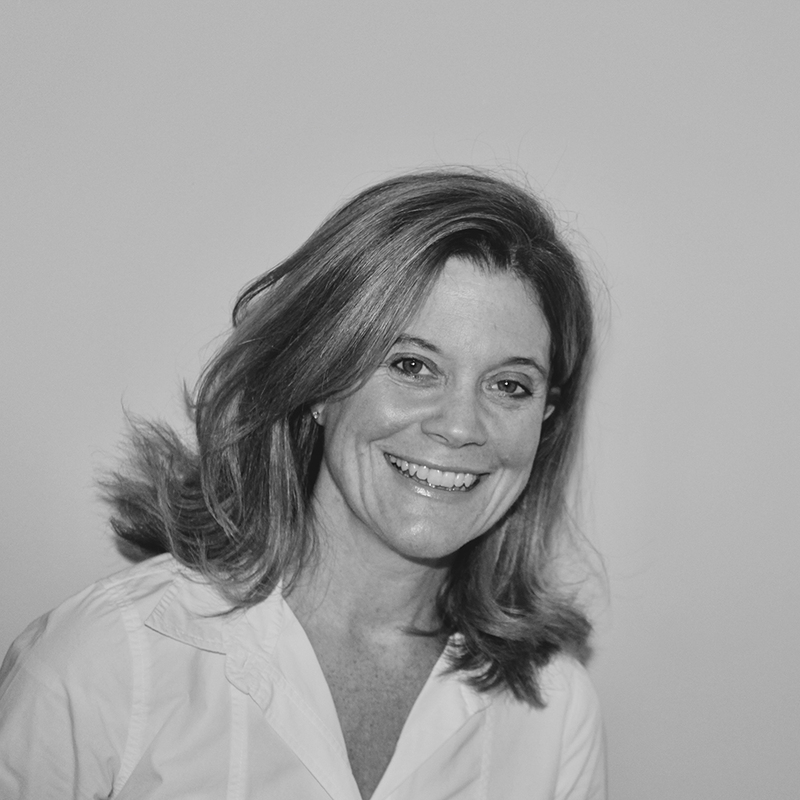 With dual Australian-British nationality, she currently lives in Surrey with her husband and three children. Thanks so much to Kendra for stopping by today and answering my probing questions, don't forget to check out the other stops on the tour!